When it comes to collaboration and teamwork, it’s easy to get frustrated. After all, getting a group of people to actually work together – and in a productive and successful fashion to boot – can sometimes seem so, well … hard. That’s when you know it’s time to look to an external source of inspiration. 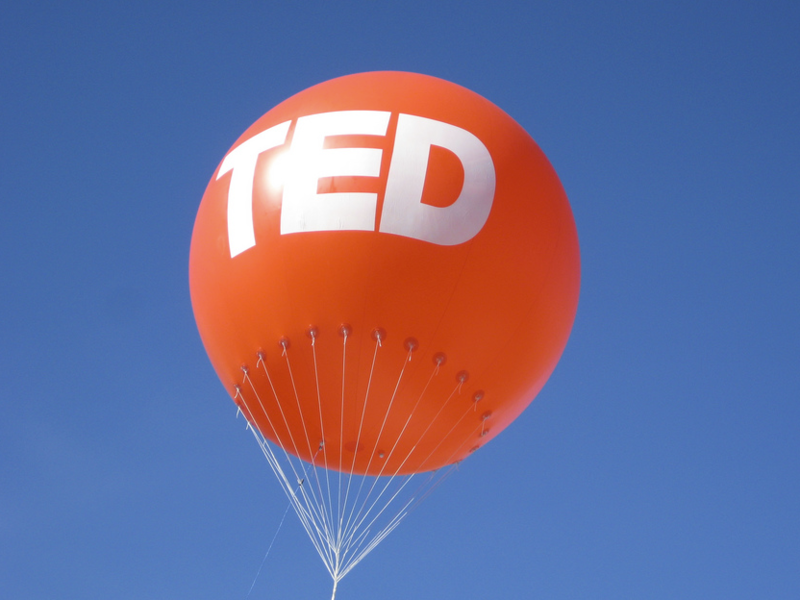 Personally, I often turn to TED when I’m looking for some innovative and inspirational ideas…no matter the subject. Take a look at these TED Talks, all related to collaboration. From virtual choirs to online swap meets, you’ll feel inspired – and ready to tackle your next team project. Go ahead – you can do it! Collaboration TED Talk #1 – Virtual voices make beautiful music. So let’s take singers from a few dozen locations, and bring them together for a virtual music concert! It sounds crazy, except for the fact that composer and conductor Eric Whitacre actually did it. Originally inspired by sounds of nature and a sunrise, he began experimenting with virtual musical performances, utilizing talented artists via computer screens. Once he posted his concerts on YouTube, his innovative approach captured the attention of hundreds of thousands of viewers. In this TED Talk, he pulls off the ultimate collaboration: performances by live singers on a stage, along with 32 singers from around the world, via Skype. For an extra dose of inspiration, check out Whitacre’s “Cloudburst,” based on a poem by Octavio Paz. Collaboration TED Talk #2 – Collective collaborations bring big rewards. How can the simple act of typing in a CAPTCHA word translate to a mind-boggling, collaborative effort where users actually assist (unknowingly) with digitizing books? Wait, what? In this humorous and concise presentation by Louis von Ahn, associate professor of Computer Science at Carnegie Mellon University, you’ll learn more about Duolingo. This project involves 100 million people (talk about a massive collaboration), all helping to translate the Web in every major language. Von Ahn shares hilarious examples of CAPTCHA goofs, CAPTCHArt and language translation misfires, all while detailing his innovative crowdsourcing techniques. Collaboration TED Talk #3 – Find your own solutions through teamwork. As a resident of New York City, Britta Riley wanted to contribute to the environmental movement by using the interdependence of urbanites as a powerful social infrastructure – without waiting for specialists and experts to figure out solutions. In simpler terms, she fostered an extensive collaboration between thousands of people interested in growing their own food in urban environments. Riley and her friends developed a system for growing plants in discarded plastic bottles. In this short but sweet presentation, she explores her approach to research and development techniques, along with program testing, and the use of social media in successful collaborative efforts. Collaboration TED Talk #4 – The rise of collaborative consumption. Rachel Botsman believes in the power of collaboration. As co-author of the book What’s Mine is Yours: The Rise of Collaborative Consumption, she explores the concept of swap trading – using the internet to create massive networks of swapping goods and services. She describes this trend as an extremely powerful dynamic with great commercial implications, building trust between complete strangers through technology. Referencing websites like Swaptree and Zipcar, Botsman describes a global village that mimics old-fashioned, face-to-face transactions, like bartering, trading and sharing – a “what’s mine is yours” approach that is transforming businesses and consumerism. Collaboration TED Talk #5 – Shooting for world peace. Oh sure, it’s the topic that beauty queens are made fun of for, but some people actually do believe in world peace – if only for a day. Filmmaker Jeremy Gilley is the founder of Peace One Day, a giant collaborative effort aimed at creating one non-violent day every year, helping millions of kids in war-torn regions. Launched in 1999, his team worked together to write hundreds of letters, coordinate efforts and unite political leaders. Documenting events as he visited dozens of countries and communities, Gilley presented his case on behalf of the global community for an international day of ceasefire, to be held every September 21. In this captivating presentation, Gilley describes the challenges and rewards involved in this ambitious and seemingly impossible task.